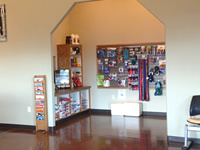 Hermiston Veterinary Clinic has an in house pharmacy and will dispense most medications at the time of your pet's appointment. Prescription refill requests can be called or emailed in to the clinic and are promptly processed, usually same day. Annual bloodwork analysis is required for certain long-term medications. Please call or email us for a refill of your pet's prescriptions prior to arriving for pick-up so we may ensure a limited wait in the lobby. 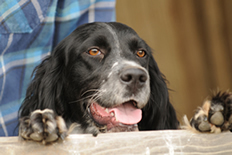 We have a variety of internal and external parasite control products available, including pet topicals, oral tablets, house foggers, and direct contact sprays, to help keep your pets healthy. 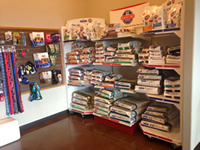 We carry the full line Hill's Science Diet maintenance and prescription pet foods available for both cats and dogs, in canned and dry formulas, and can also order Purina and Royal Canin Veterinary Diets. Whether you're trying to help your dog lose weight, regain your pet's healthy urinary tract after a recent infection, or just trying to provide a great puppy growth diet, we have what you'll need! For your convenience, we also carry Tuff Lock nylon leashes, collars, and harnesses in mulitple sizes and colors/patterns for cats and dogs. They have a lifetime guarantee, even if they are chewed! Other products we carry include grooming tools, milk replacers and bottles, dental hygiene products, training and chew treats, supplements, and pelleted cat litter. For horses, halters, dewormer, hoof products, supplements, topicals, and fly products are available. 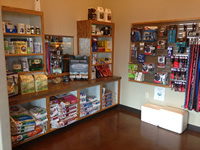 We have a variety of livestock care products in the lobby, as well as a large animal inventory in the back.